Ron Scott began working as a photographer in 1967 after graduating from Tulane University in New Orleans with a bachelors degree in Physics. 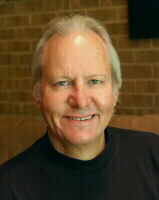 Ron started his own photographic business in 1972 in Houston, Texas. Ron's photographic career has spanned over four decades and his clients have included the top corporations, advertising agencies and design firms in the country. His photography has won numerous awards in prestigious shows in New York, San Francisco, Houston and Dallas and his photographs have appeared in Communications Arts Magazine, Photographis, Graphis Posters and at the PHOTOKINA exhibit. He is a former contributing editor to Texas Monthly Magazine and created the photographs for thirty-two of its covers. In 1984 Ron became interested in computer graphics as a new tool for creating photographic images. He has always considered photography as a "marriage of science and art", so the adoption of the computer as an imaging tool was a natural extension of his craft as a photographer. In 1985 Ron was selected by the SIGGRAPH 86 design team to produce the central image of the official poster promoting the 1986 conference in Dallas, Texas. The image was a computer creation of a typical Texas cactus and flower and was used in all SIGGRAPH 86 promotional materials and advertising. Ron's computer generated imagery has been used in annual reports, brochures, magazines and consumer and trade advertising. In April of 2009 Ron was honored as the recipient of the Decorative Center Houston 2009 Stars of Design award for photography. Being a pioneer in the creation of computer images, Ron discovered that many of the software tools he required to do his work were inadequate or non-existent. So it became necessary to develop his own tools for image composition, special effects and film output. Others too were eager for these new tools and soon Ron evolved from tool user to tool maker. By 1988 Ron Scott, Inc. was marketing several successful computer graphics software products, including the image editing and special effects package named QFX. Ron closed his large full-time studio in 2003 and now works out of the loft studio in his Montrose area townhouse. Ron continues to create compelling photographs using his unique vision to create images with impact and imagination. Ron embraced the digital revolution early on and now creates all of his images using the latest digital cameras and printers. Ron enjoys exhibiting his work in local restaurants and during FotoFest as well as on this website. There are many photographers who have joined the digital revolution, but few have the combined skills of both a keen eye and a mastery of the computer. Ron has been making images for nearly a half century and using digital techniques in that endeavor for more than two decades. He has at his fingertips every tool imaginable for making striking, compelling imagery and the experience to know just which ones to use. And, if the right tool is not there, Ron can create it. You may see a portfolio of Ron’s work at: http://www.ronscott.com.